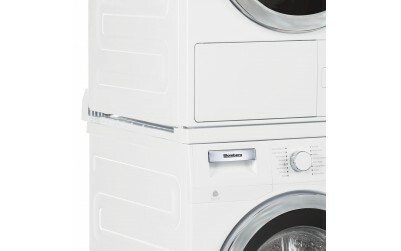 24" Vented Electric Dryer is rated 2.6 out of 5 by 16. Rated 1 out of 5 by Duff51 from Electrical design flaw Found the problem that likely explains a LOT of the issues here. The dryer has a power distribution unit box (PDU) on the rear with two fuse holders. Those fuses are meant to be 5x20 15amp fuses. They are a slow blow version, similar to a microwave fuse. And the problem: they fuse holder is only rated to 10amps. Meaning whoever engineered the PDU isn't the same person that designed the internal dryer circuitry and motor wiring. It looks like the wiring & components on the machine doesn't match up to the current draw... so things are frying. I'm kind of surprised UL let this one get through. Otherwise it would be a great product. Rated 1 out of 5 by Jackie2745 from Horrible dryer This dryer came with our condo unit. It doesn't dry clothes, which I thought was the main function of a dryer. Rated 1 out of 5 by Notsohappycamper from Absolute GARBAGE! We have had this dryer as a stacking set since 2013. The top of the dryer plastic is completely cracked and the dryer is now making a very loud noise towards the end of the drying cycle. 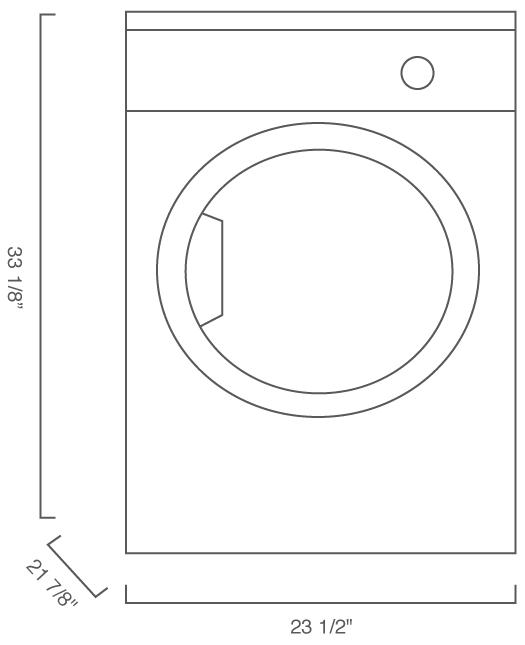 I have two other washer/dryer sets in my home and have not had a problem with them even though they are used more frequently. This Washer/Dryer combo has been nothing but problems. Stay away from this! Rated 1 out of 5 by J.B. from Dryer leaving black grease marks on clothes!!! This dryer came as a combo unit with my new condo. Within the first year I noticed that black smudges and streaks would be left over my clothes. It was mainly noticeable when drying light colored fabrics. At first I wasn't sure if it really was the dryer or if it could possibly be the washer and it took me the better part of a year of damaged clothing and sheets to realize it was the dryer. By this point, the warranty was long gone. I'm now left with a dryer that I'm afraid to put in any expensive clothing or white or light colored items. Horrible product. I have had many dryers over the years--my last one was 17 years old and still going strong with no issues when I left it at my former home. Usually you have many years before having to deal with something like this. I will never purchase Blomberg at all. Rated 4 out of 5 by clpds1989 from Very Quiet I've had my dryer for a little over 2 months and I'm completely satisfied with it. It dries my clothes very quickly and efficiently. I also like that it beeps to let you know it's done. Which is handy because sometimes it stops and you think it's done but it continues after a couple of seconds. Sometimes some heavy clothes (sweatshirts and fitted sheets in particular) come out not completely dry but I just run it in the dryer for a couple more minutes. Rated 1 out of 5 by FabrikB from Never warmed up. The dryer never heated up enough to fully dry the clothes. Now it just blows cold air. At first I thought it was just the energy savings feature, not knowing much about this product or about Blomberg. But as time wore on it was always just blowing luke warm/cold air and I have to restart the cycle numerous time for a single load, so eventually we just hung our clothes to dry and stopped using the dryer. The machine is brand new installed by the builder in 2016. 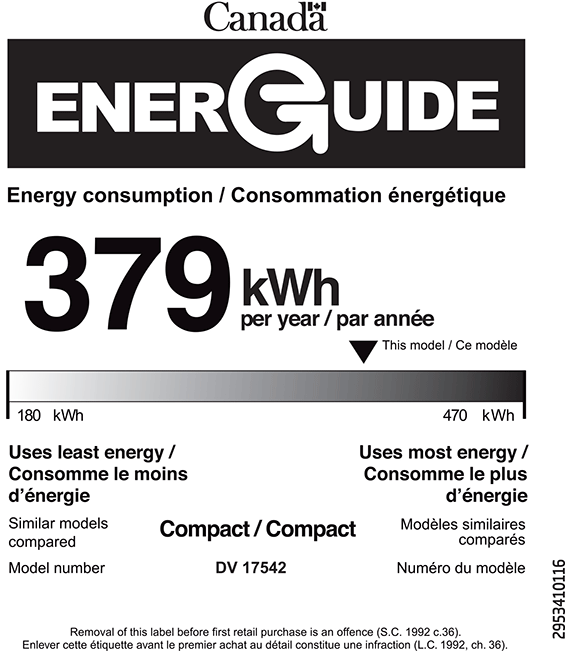 The units came with this brand and we had no choice but to have this in our units that we purchased from Menkes in 2016. By the time I realize I could call for manufacture's warranty (shortly after the one-year warranty) it was too late, so now I have a nearly new dryer, barely used because it never delivered hot air to dry my laundry. Also the filter reminder ring tone when a load was done is very annoying because it would just keep going until the machine was turned off. If a load was running overnight it would just persist and disturb our sleep.